Venice, or Venezia in Italian, is the capital of Northern Italy’s Veneto Region, it consists and is built on more than 100 small islands in a lagoon in the Adriatic Sea. Hence there are no or little roads, mainly canals. It has more than 1000 years of history beginning from around 400 A.D. Today, we are going to bring you to one of the most beautiful place in the Netherlands. It is a town in Netherlands which is often known as “Little Venice” or the “Venice of the Netherlands”. 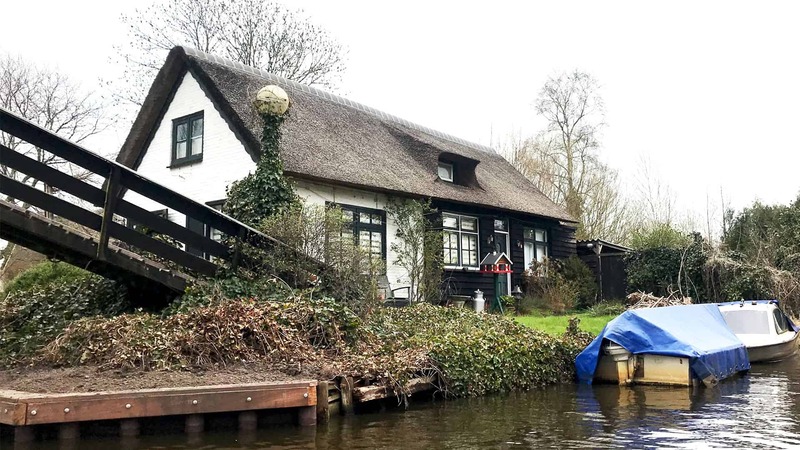 Giethoorn, is 400 years old, and is nested in the north of Netherlands. Please note that bus 70 departs only 1-2 times an hour. We advise you to check timetable of the bus 70 at 9292.nl on the day of your journey to avoid extra waiting time. If you travel by car it will take you approximately 1,5 hours. See Google maps for directions. There is a big and free parking lot in Giethoorn located at Beulakerweg 135, 8355 DD Giethoorn. The village center is only 7-10 minutes walk from the free parking. Serenity that’s the best word to describe Giethoorn as compared to Venice in Italy. A Car-free village northeastern Dutch province of Overijssel. 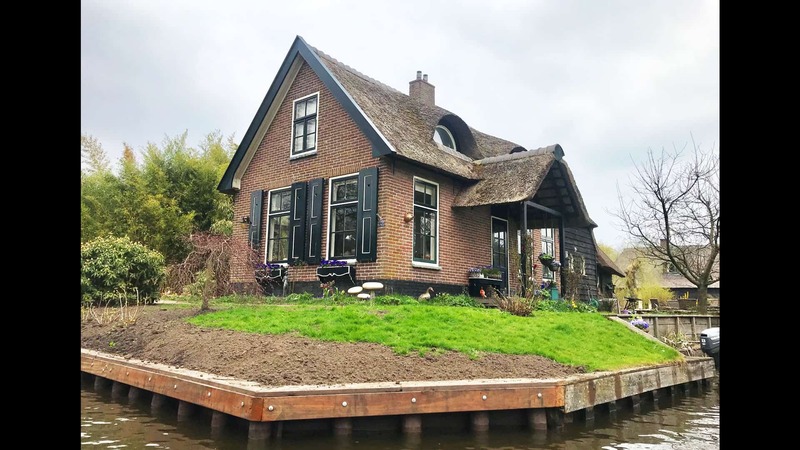 A place without roads for car,only pavement for cyclist and people.The whole village is filled with canals, even postman have to deliver letters using boats. Thus in summary there are only three ways of transport in this village that is by cycling, walking or by boat. When you step into this village and looking at the thatched roof, you can’t imagine this was once the poorest village that only poor people stayed. Brick roofs are more expensive then thatched house in the past. Now the thatched roof are more expensive then the brick houses. Now it’s a place that only the rich stayed and for the rich to retire. This village started with system of lakes formed by peat-mining and the canals for transporting the peat from one place to another. The best way to see the town is to rent a small boat and follow the map given by your boat operator and drive and explore on a sunny day. On rainy days, you can choose the bigger boats that are covered. It’s very easy to maneuver around as every corner of the boat routes is being numbered. 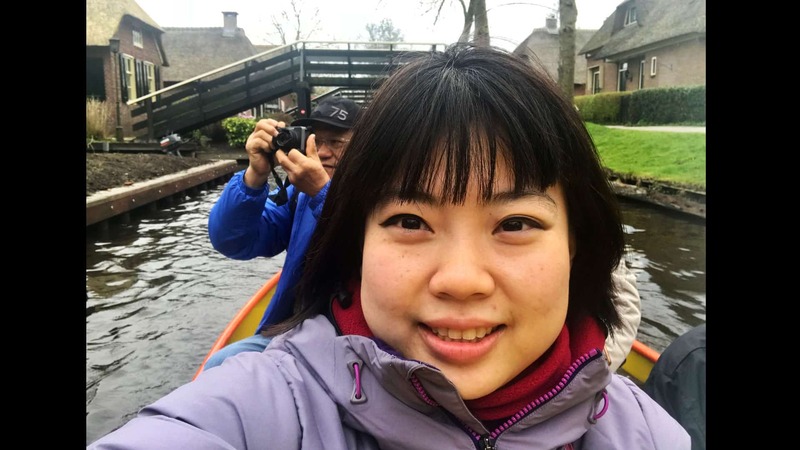 Boat is a very important mode of transport in Giethoorn as you can see in this picture. Grass thatched roof is only for the poor in the past and now all these roof only the rich can afford. 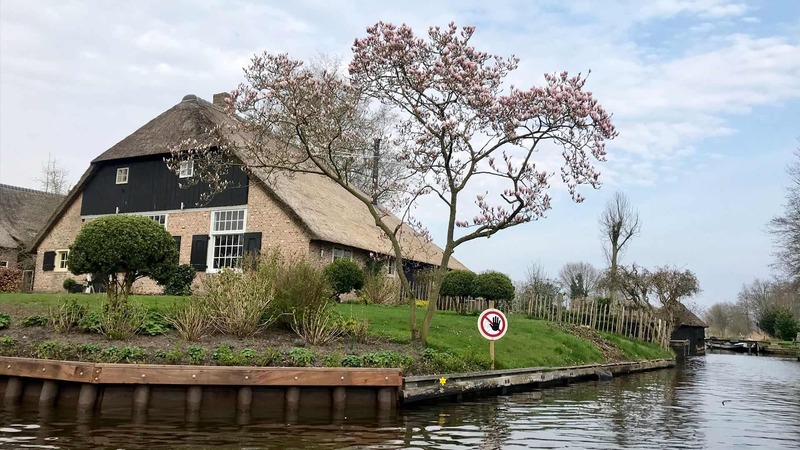 Spring is here at Giethoorn. Even the chickens are so carefree at this slow and beautiful Little Venice in the North! 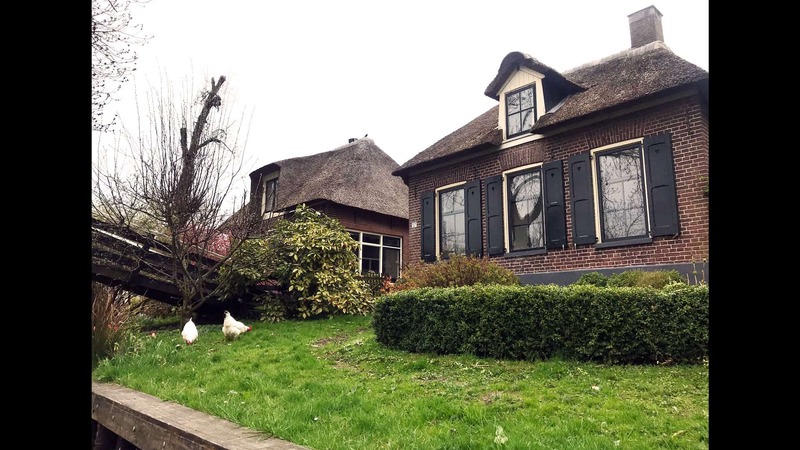 Driving the boat and seeing the duck chasing your boat and swans being s friendly coming around to say hi and beautiful gardens in front of all houses. Listening to birds chirping away from the bustling city and you can only hear your heartbeat and the birds chirping! Truly, a place to be for a relaxing vacation! 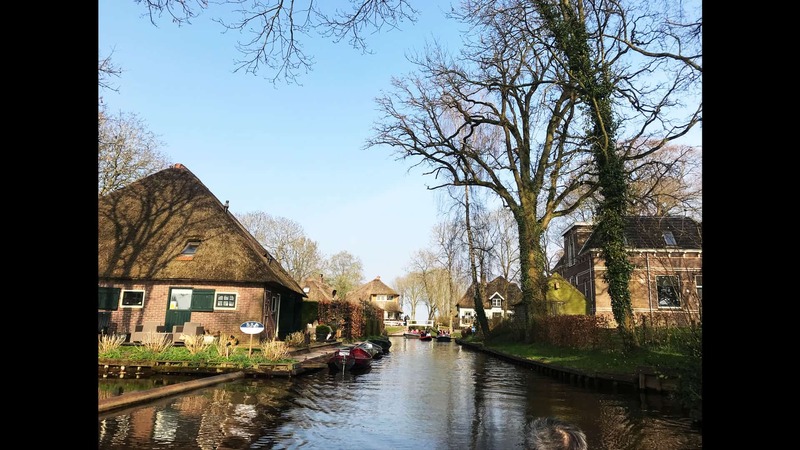 Totally in love with the serenity of Giethoorn.